“The Little Prince” may be just a movie, but it is ultimately a movie that somehow manages to tell its own story. In the film, a young girl moves into a new neighborhood with her mom. The girl is focused and plans her life meticulously, while her mom strongly enforces “the life plan” so that her daughter can succeed in the long term. This all comes crashing down when the girl meets her eccentric new neighbor for the first time, who is old in age but very active with his imagination. He tells her of the story of The Little Prince he met a long time ago, a story that doesn’t fit into her world of order and essentialness, but is a story she can’t help but fall for none-the-less. Having read about this movie months before having actually seen it, in the process director Mark Osborn became the old man while we, the audience, became the little girl. Animation is big business these days. “Finding Dory,” “Zootopia,” and “The Secret Life of Pets” are a few of the highest grossing films of the year. Sans one of those, all these films are predictable and calculated successes, with even the most original of the three doing some pretty conventional things to insure maximum embracing at the box office. 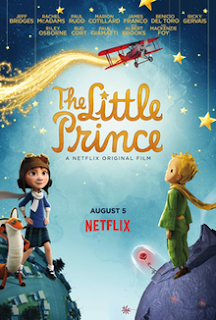 “The Little Prince” is a movie that is not calculated to be a big success. Osborn’s previous film was the very successful “Kung fu Panda,” but now he has delivered a movie that is high in imagination and sweet in emotion. It is heart breaking and touching at the same time, leaving the audience to find themselves crying even during scenes of joy. While most of the movie is computer animated, there are sequences that utilize stop motion and hand drawn animation, to better capture the wonder of the Little Prince’s story. This is, in short, a labor of love through and through. One that captures some of the heart that classic Steven Spielberg films used to do. So why, then, was it such a hassle for us to get the film in the first place? Osborn had to get financing of the film from other companies (mainly France, in this case). Despite the lack of money, actors were so impressed by what was being made, that many of them decided to work on the film practically for free. Jeff Bridges, Paul Giamatti, Rachel Weiz, and Paul Rudd are just a few of the recognizable names you hear see here. Yet even with the movie being funded and completed by outside sources, it was still made in English with an American audience in mind. Paramount Pictures picked up the film for theatrical release, and then dropped it days before it was supposed to come out. It almost feels like the old man in the movie, who gets bothered by the cops to shut up and keep his stories to himself, all while there is endless joy to be found inside. This is a stark contrast to “The Angry Birds Movie,” where Rovio bet their entire future on fart jokes and exploding pigs. “The Little Prince” is a movie where characters literally soar in the sky and throughout the universe, all while beauty surrounds us in glorious 3D. I could care less if eggs flew out of the screen and exploded in my face, but having the sense of being on a plane that flies through the clouds…that, dear readers, is a feeling that never gets old. So why then, do the Angry Birds find themselves in thousands of theaters while “The Little Prince” is only in a dozen at best? Part of the reason may be because Netflix picked up the movie when Paramount decided they didn’t want anything to do with it anymore. Netflix picked it up so to release on their streaming platform, which is the easiest place you will be able to find it. Despite having minor theatrical runs for some of their documentaries and “Beasts of No Nation,” the company apparently felt people wouldn’t pay to see this, which is why it almost doesn’t exist in a theater. I want to stress that Netflix ultimately did the world a favor by acquiring the rights to the movie. Considering this is a situation where the movie could very easily never gotten released all, we should count our blessings. And yet…it just adds to the frustration that even Netflix seems to not realize what they have. This is a movie that deserves to be seen on the big screen, in 3D, with other audience members. Watching it on the computer may be fine, but it is a compromised way to watch this. 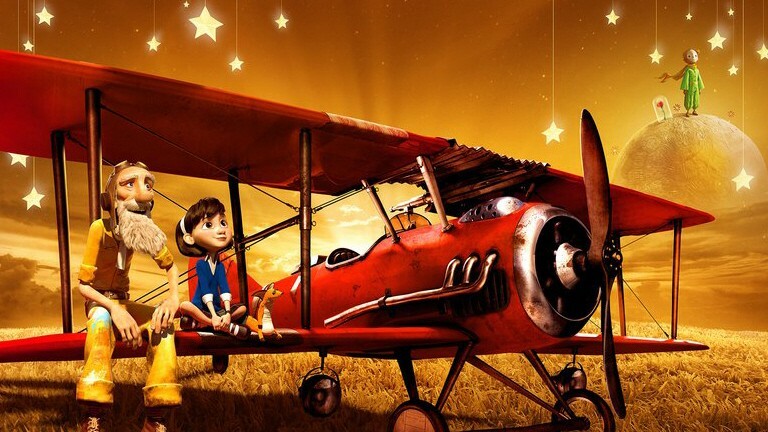 What is it about “The Little Prince” that made the movie such a tough sell? Why did the director have to go overseas for funding? Why did the cast have to practically donate their time? Why did it have to go through two distributors and still only wind up as an internet movie? I know this is a unique movie. One that, if we’re being honest, families haven’t paid to see in a long time. There is an innocence to this that is lacking is pretty much all family films these days. Throwing it up against “Zootopia” likely wasn’t going to be a winning strategy, but why couldn’t it have been an August or September release, when competition is slow and families might have been more willing to take a chance on something like this? I think word-of-mouth might have turned this into a sleeper hit. It still might, if we’re being honest. But why should such beautiful art be kept out of the museums? The failure of “Ice Age: Collision Course” should prove that people are getting tired of repeats. They are hungry for something new and fresh. 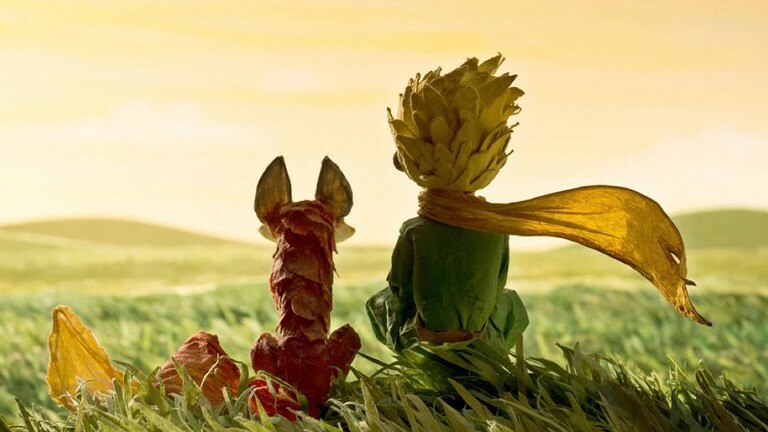 “The Little Prince” is everything people should want in their entertainment. Thanks to Netflix, they can watch it for free (sans the service subscription fee), but like the old man’s kooky house, it seems a shame to hide it from the world around us. Maybe one day Hollywood will take a chance on movies like these again. Until then, we’ll have to settle for the internet. Parents, there is nothing wrong with this movie. Recommended for all ages.